If you’re a business owner near Hobbs, NM looking to get your hands on a commercial truck that’s affordable and stocked with high-performance features, then make your way to your certified CDJR dealer near Seminole. 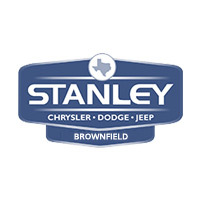 At Stanley CDJR Brownfield, you’ll find low mileage commercial trucks. Check out what all of these trucks can do on and off the road, and contact our staff if you need any assistance. People in Seminole buy their commercial vehicles from us for many reasons, including the benefits of BusinessLink like 24/7 towing and 1st in bay priority servicing. Come by and see us today for a low mileage commercial truck with many years and miles to go!